Whether you enjoy occasional overnight stays or months of adventures on the road, weekends away or international adventures, or even sleepovers… this TRAVEL JOURNAL is packed with 92 journal pages to document your daily experiences. Draw, write or attach a photo. The kids (and grown-ups) in your family will have a wonderful time documenting the highlights and happenings of each and every day (and looking back on the memories in the months and years to come – wire bound with a protective plastic sleeve). 1. 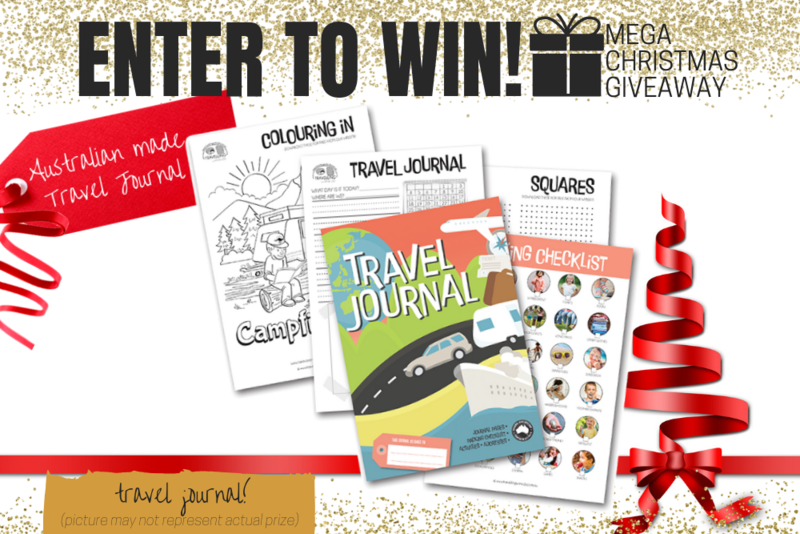 **Australian made Travel Journal. Total Prize Value $24.95** AUD (the "Prize"). 2. It is the responsibility of the winner to collect the Prize within 7 days of the end of the Competition Period from the Promoter’s Mornington office. 3. The Prize, or any part thereof, must be accepted as awarded and is non-negotiable, non-transferable to another person and non-convertible and is not transferable for cash. 4. The prize must be collected from the Promotors Mornington Office, unless otherwise advised.